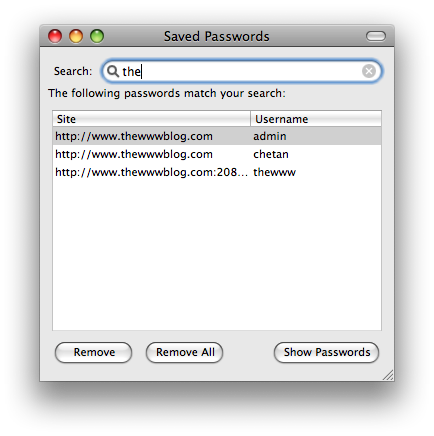 How to find forgotten password saved in Firefox browser? Most of the times we use the Save password option in firefox browser so that we don’t have to keep typing the password always for logging into websites etc. and sometimes it comes to use when you browse many sites and keep forgetting what passwords you used for some sites. When you forget the password, don’t worry if you had saved the password earlier when logging in. You can search for it in the settings section of firefox. 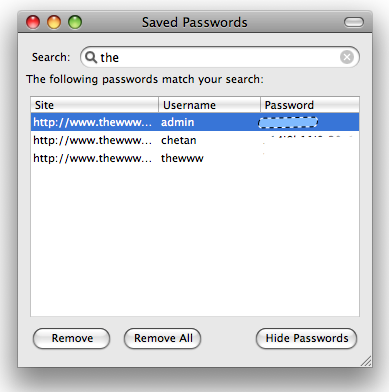 Here I share the tutorial on how to find a password in firefox(mac) which you forgot. 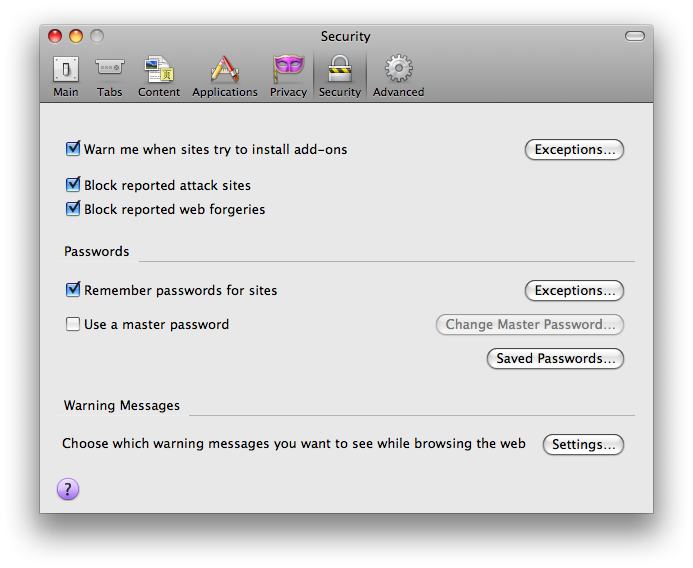 In firefox for mac, go to Firefox main menu and click on Preferences. In the preferences section, go to the “Security” section. In that you see the option of Remembering passwords for sites, which is set Yes as default. In that, hit Saved Passwords, and the box with all the accounts that were saved in the browser’s memory will be shown. There you can search for the site for which you were searching your account password. In that dialog box, there is an option in the right bottom side, Show Passwords which will display the passwords you used and saved. Hit that, and you can see the password you were searching for. The above pics and tutorial was for Firefox in mac, but its same in Windows where you go to Tools > Options to find the same, rather than the preferences. Oh , thats so informative as the information you shared was really useful and helpful for the future. What if you accidently click “update password” and it’s the wrong password. What do you do then? I need to get an old password and I can’t remember it to save my life.